Course Description: Basket weaving is an ancient skill found in all cultures. 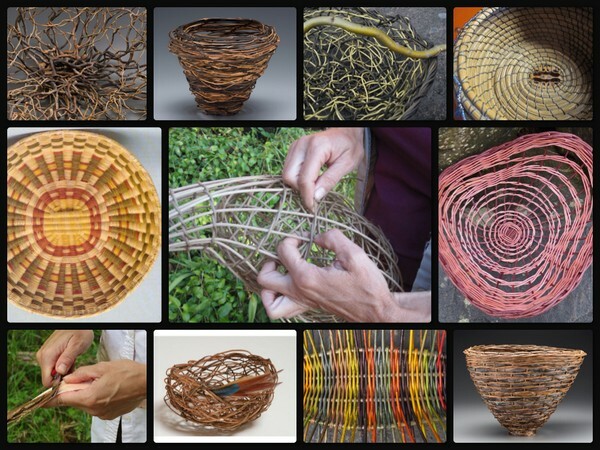 Within the world of basketry there exists a wide variety of construction techniques which employ a vast array of plant materials. This course will offer a broad introduction to techniques such as twining, cordage, coiling and random weave construction. An emphasis will be on the sculptural potentials of each of these techniques. A variety of materials will be supplied as we explore each of these methods of construction. In addition, we will take the opportunity to respectfully forage for natural materials from the local environment at Ness Creek. This will provide hands on exposure to methods of plant preparation and potentials for weaving three dimensional vessels and sculpture.